This gage tree is becoming increasingly popular with garden growers as it is disease resistant and highly productive from a young age. Stella's Star Gage produces plenty of mid green fruits that ripen to a pale yellow. Ready for picking in late August, these gage fruits can be eaten fresh or used for cooking. 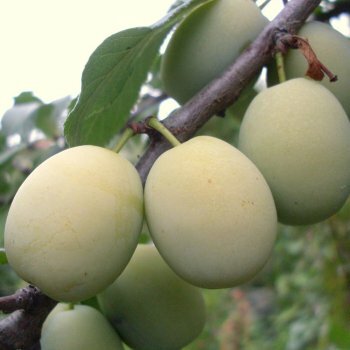 Plum, Gage & Damson trees will not grow happily in a pot long term, they need to be planted in the ground. All other fruit trees can be container grown. Plum/gage trees should be planted at a minimum of approx. 3m between each tree. Our pot grown Stella's Star Gage trees can be planted at any time of the year, whereas bare root Stella's Star Gage trees need to be planted between November and March.